"The Curve" and "Grading Gymnastics . . ."
Case Study: "What's New ?" The list below identifies the possible permanent grades that can be given for any course for which credit is to be awarded. These grades will be entered on a student's official transcript and carry the indicated grade points. (UMD does not award A+ grades, nor are D- grades permitted). Represents achievement that is satisfactory, which is equivalent to a C or better. The S grade will not carry grade points but the credits will count toward the student's degree program if allowed by the college or program. Represents failure and signifies that the work was either (1) completed but at a level of achievement that is not worthy of credit or (2) was not completed and there was no agreement between the instructor and the student that the student would be awarded an I (see Section C). The F carries 0 grade points and the credits for the course do not count toward any academic degree program. The credit hours for the course will count in the grade point average. Represents no credit and signifies that the work was either (1) completed but at a level of achievement that is not worthy of credit or (2) was not completed and there was no agreement between the instructor and the student that the student would be awarded an I (see criteria for I grade). The N carries no grade points and the credits for the course do not count toward any academic degree program. The credit hours for the course do not count in the grade point average. These definitions might not apply to grades awarded to students enrolled in graduate, post-baccalaureate, and professional programs, but the grade points are the same no matter the level or course of enrollment. Instructors are permitted to hold graduate and undergraduate students who are in the same class to different standards of academic performance and accomplishment. The syllabus must make clear what the different standards will be for the different groups of students who may be enrolled in the class. These are the general University standards. In connection with all symbols of achievement, instructors will define for a class, at one of its earliest meetings and as explicitly as possible, the performance that will be necessary to earn each grade. 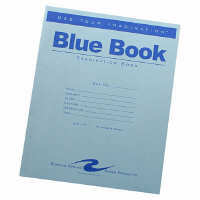 Grades for academic work are based on the quality of the work submitted. Instructors have the responsibility and authority to determine how final grades are assigned. There will be a symbol I (incomplete) awarded to indicate that the work of the course has not been completed. The I will be assigned at the discretion of the instructor when, due to extraordinary circumstances (as determined by the instructor), the student who has successfully completed a substantial portion of the course's work with a passing grade was prevented from completing the work of the course on time. The assignment of an I requires a written agreement (http://www.d.umn.edu/vcaa/iform.pdf) between the instructor and student specifying the time and manner in which the student will complete the course requirements. In no event may any such written agreement allow a period of longer than one year to complete the course requirements, except as provided in section C (7). Work to make up an I must be submitted to the instructor (or the department head) within one year of the last day of final examinations of the term in which the I was given for all students except graduate and professional students. If not submitted by that time, the I will automatically change to an F (if the student was registered on the A-F system) or an N (if the student was registered on the S-N system) for the course. If an I changes automatically to an F or an N, the instructor has the discretion to reinstate the I for one additional year only. For graduate and professional students, an I remains on the transcript until changed by the instructor or department head. When an I is changed to another symbol, the I is removed from the record. Once an I has become an F or an N, under the provisions of the preceding paragraph, it may subsequently be converted to any other grade, upon petition by the instructor (or the department if the instructor has left the University) to the college. Students may have a degree conferred with an I for a course(s) that is not required for the degree. A permanent grade may replace the I and be calculated in the degree GPA within 30 days from the end term in which the degree was conferred. Otherwise, the degree GPA is frozen upon graduation but the cumulative GPA will reflect the change in GPA as a result of the grade change. When students are called to active military duty, and reach agreement with their instructor(s) to take an incomplete, they will have up to one calendar year following their discharge from active duty to complete their incomplete(s). Receipt of an I in a course does not create an entitlement for a student to take the course a second time. ©Major League Baseball Properties, Inc. If you took the exam the results will be in your Gradebook (check the upper left-hand corner of your HomePage under “Administration”). Profs “grading” exams is a lot like umpires in Major League Baseball calling balls and strikes. The Major League rules are clear <http://www.d.umn.edu/cla/faculty/troufs/anthfood/afgrades.html#strikezone> as are the stated criteria for written projects and exams <http://www.d.umn.edu/cla/faculty/troufs/comp3160/criteria_for_grading.html#title>. But, in the end, both the balls and strikes and grades are human judgment calls. The biggest difference between a Major League Umpire calling balls and strikes and a professor calling a grade is that you get ejected from the baseball game if you are argue balls and strikes (see Section 9.02 Official Baseball Rules <http://mlb.mlb.com/mlb/official_info/official_rules/foreword.jsp> while you should really question the prof if you didn’t like the call, and that is especially true for midterm exams as one can often learn quite a bit that is helpful on the final by looking over and discussing a midterm exam. So if, for whatever reason, you didn’t like “the call,” stop in or e-mail: mailto:troufs@d.umn.edu. The STRIKE ZONE is that area over home plate the upper limit of which is a horizontal line at the midpoint between the top of the shoulders and the top of the uniform pants, and the lower level is a line at the hollow beneath the kneecap. The Strike Zone shall be determined from the batter's stance as the batter is prepared to swing at a pitched ball. Any umpire's decision which involves judgment, such as, but not limited to, whether a batted ball is fair or foul, whether a pitch is a strike or a ball, or whether a runner is safe or out, is final. No player, manager, coach or substitute shall object to any such judgment decisions. Players leaving their position in the field or on base, or managers or coaches leaving the bench or coaches box, to argue on BALLS AND STRIKES will not be permitted. They should be warned if they start for the plate to protest the call. If they continue, they will be ejected from the game. The actual numbers used to determine final grades may differ slightly (in your favor) because of final adjustments (see note * below). Instructor reserves the right to curve final grades upward. *At the end of the very end of the course there will be a final "curving" of the grades. Typically in the past that has been about 2% (usually 30-40 points.) This is intended primarily to (1) allow those who "just missed an [fill in the blank with a grade] by one point" to automatically get the higher grade, and (2) to add a little insutrance to the system to allow "benefit of the doubt" in what might have been an occasional boarderline "call." A score of "1" simply means that a paper was submitted and it was returned for some technical reason, such as, for e.g., it couldnt be opened in the format that was sent. For information of that sort of problem, for e.g., see <http://www.d.umn.edu/cla/faculty/troufs/tr/truploading_files.html#Pages>. Grading Gymnastics . . . I mentioned above that profs grading papers and projects is like umpires calling balls and strikes in baseball. Maybe a better analogy would be judging Olympic Figure Skating, or Gymnastics, or Ski Jumping, Diving and the like. The Figure Skating and Gymnastics and Diving and Ski Jumping, and the like, would be better analogies because in those events one gets evaluated on two aspects of their performance, one for difficulty of the program and one for execution. So it is with papers and projects in upper division college courses. Those are involve basically judgement calls. If the nature of one's project was more like a week-long forum project than a semester-long research project, one in essence gets fewer "technical difficulty points." If the assignment is a research Term Paper and the "performance" is more in the nature of a Case Study, likewise there will be fewer difficulty points. How well one performs the task relates to execution. In terms of the execution, a basically good description of events, focusing on the who, what, where, and when, merits basic points. Generally upper division projects should also have an analytic component--and sometimes also a comparative component--that is looking at the how and why, and those projects receive the equivalent of more consideration regarding "technical difficulty." Using the "Anthropology . . . and its Parts" Chart <http://www.d.umn.edu/cla/faculty/troufs/anth1602/pchoebel.html#title>, a Level 1 presentation would merit the equivalent of fewer technical difficulty points. That, plus some Level 2 or Level 3 analysis (for a 3XXX class), would propell one's work to the higher end of the difficulty and execution scores. 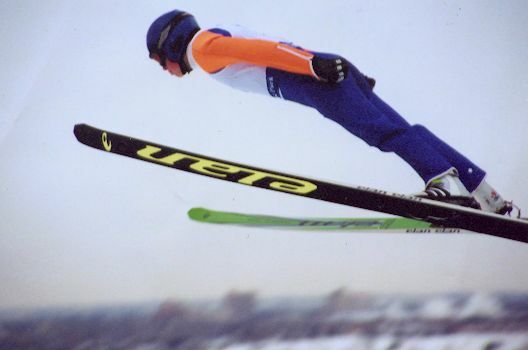 One should also have a good beginning, middle, and end: a good approach/run, execution, landing. . . . Telemark landings in ski jumping often get extra points; a good dismount in gymnastics is essential; a vertical entry in competitive diving is required for a high score. . . . So it is with class writing. . . . If that sounds too abstract, it might be a little clear if you look at the chart above, which compares UMD's 3 January 2011 grading standards with the grades in the course (every prof, I think, should have one of these). That will give you, perhaps, a clearer idea of the grading scales with reference to the most recent UMD policy. 1For practical and existential reasons in this singular case "rounding" of numbers does not follow common mathematical conventions. This will be taken into account when assigning points to your posts. Also remember that the University of Minnesota does not have an A+ grade for undergraduate courses. Twenty points will, however, be given nonetheless to persons going beyond the call of duty. Working Bibliographies properly done will usually receive 17 points. For more information on Bibliographies see <http://www.d.umn.edu/cla/faculty/troufs/anthfood/afterm_paper.html#workingbibliography>. Promissory Abstacts properly done will usually receive 17 points. For more information on Pomissory Abstracts see <http://www.d.umn.edu/cla/faculty/troufs/comp3160/Hairston.abstracts.html#promissory>. "Academic dishonesty tarnishes UMD’s reputation and discredits the accomplishments of students. Academic dishonesty is regarded as a serious offense by all members of the academic community. UMD’s Student Academic Integrity Policy can be found at: http://www.d.umn.edu/conduct/integrity/"
"Appropriate classroom conduct promotes an environment of academic achievement and integrity. Disruptive classroom behavior that substantially or repeatedly interrupts either the instructor's ability to teach, or student learning, is prohibited. Student are expected adhere to Board of Regents Policy: Student Conduct Code: http://www1.umn.edu/regents/policies/academic/Student_Conduct_Code.pdf"
other pertinent policies as determined by the University of Minnesota, the University of Minnesota Duluth, The UMD College of Liberal Arts, and the Department of Sociology-Anthropology . . .
"UMD is committed to providing a positive, safe, and inclusive place for all who study and work here. Instructors and students have mutual responsibility to insure that the environment in all of these settings supports teaching and learning, is respectful of the rights and freedoms of all members, and promotes a civil and open exchange of ideas. To reference the full policy please see: http://www.d.umn.edu/vcaa/TeachingLearning.html"
"All 1xxx-5xxx courses offered for undergraduate credit should include a final graded component or end of term evaluation that assesses the level of student achievement of one or more course objectives. All final graded components are to be administered or due at the time and place according to the final exam schedule and not during the last week of class. To reference the full policy please see: http://www.d.umn.edu/vcaa/FinalExams.html"
"Students are expected to attend all scheduled class meetings. It is the responsibility of students to plan their schedules to avoid excessive conflict with course requirements. However, there are legitimate and verifiable circumstances that lead to excused student absence from the classroom. These are subpoenas, jury duty, military duty, religious observances, illness, bereavement for immediate family, and NCAA varsity intercollegiate athletics. For complete information, please see: http://www.d.umn.edu/vcaa/ExcusedAbsence.html"
"Taking notes is a means of recording information but more importantly of personally absorbing and integrating the educational experience. However, broadly disseminating class notes beyond the classroom community or accepting compensation for taking and distributing classroom notes undermines instructor interests in their intellectual work product while not substantially furthering instructor and student interests in effective learning. For additional information, please see: http://www.d.umn.edu/vcaa/ClassNotesAppropriateUseof.html"